Alternative Dispute Resolution techniques are just that: voluntary processes that permit parties with conflicting interests to reach a resolution without the need for litigation. The purpose of ADR is for both parties to share in the decision making process, thereby ensuring a fair implementation of solutions and a satisfactory result for all concerned. Neutral third parties often oversee the ADR process, ensuring that everyone involved has their turn at the podium, and that resolutions do not favor one party over another. This third party, who helps orchestrate the process, has no stake in the substantive outcome of the effort. 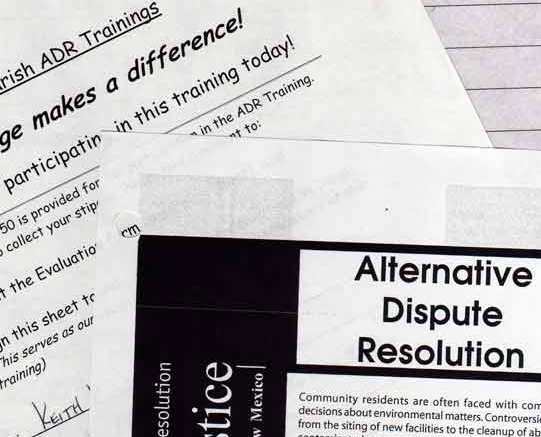 By allowing people who might not normally work together to develop and consider mutually satisfying alternatives, ADR processes lead to mutually satisfying resolution of issues. ADR is based on the theory that people who are involved in a controversy are the ones best able to develop a reasonable and enduring solution because they know their own needs and interests. 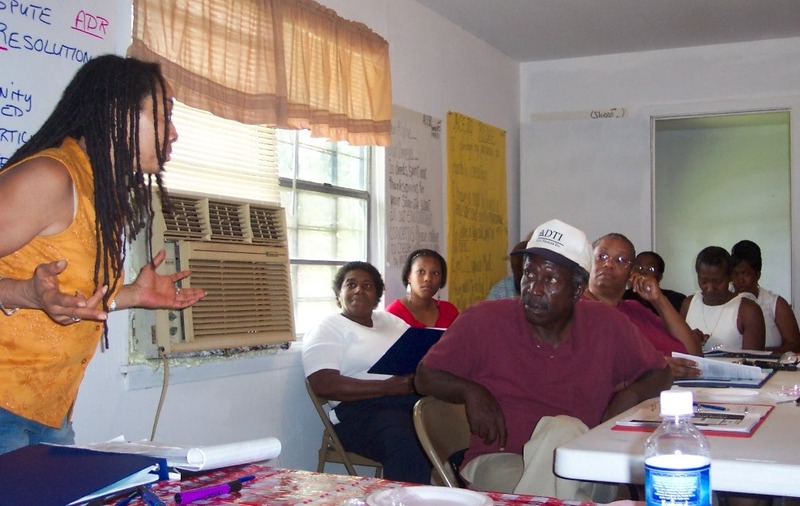 In our work, we facilitate and train community leaders and members to take the techniques of ADR and apply them in resolving issues of environmental justice, health disparities, and a myriad of other concerns. Specifically, our work in Louisiana, partnered with the Louisiana Environmental Justice Community Organizations Coalition, has given us an opportunity to train community leaders and members in Alternate Dispute Resolution technique in relation to Environmental Justice concerns.